Jul 17 Amazon Prime Day & What It Really Means to "Launch"
For days Amazon was sending me email after email, app notification after notification that this HUGE event was happening! Who got the same notifications? So, here I was - eagerly anticipating 3PM EST for all of these amazing sales to go live. At 3:01 - I try, and I fail. I get an error message. So, I wait some more, and still... it's almost 5 PM, and I am still getting this picture of this puppy letting me know something on their end is not working. Has it really been 2 hours, Amazon! Seriously? Amazon - this $430 Billion dollar company launched, and they launched ugly. Clearly, their website wasn't ready for this! And yet....here we are. So, why or why - do we think we have to? Where does that even come from? Because the truth of the matter is, if you have a pot of gold (and you do), you gotta get the message out there! Sometimes, you just gotta launch ugly! 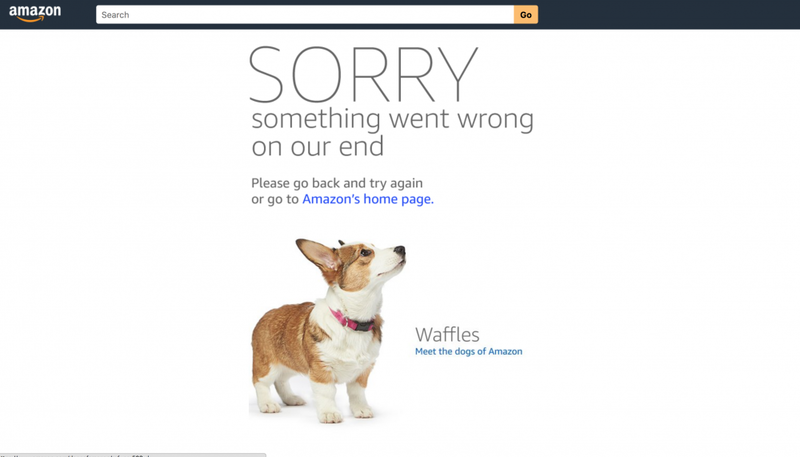 Amazon did - and they did it unapologetically, too! Cuz here I am, 2 hours later, still trying to buy a Boom Mic LOL. I have launched course after course, program after program and let me be honest. None of them were ever perfect. One time, I was so scared of success, I actually stopped in the middle of a launch - no lie! I literally turned off all of the emails, and shut down the sales page so no one else could sign up. So, no matter where you are in your business, its time to take that next step so you can launch! Want more great tips like this? Request a copy of our FREE Facebook Ads Checklist.